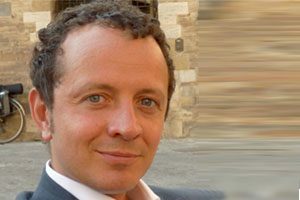 Daniele Vianello is Associate Professor at the University of Calabria (UNICAL), where since 2007 he has been teaching “History of Theatre and Performing Arts”, “Dramaturgy” and “Theories and Techniques of Theatre Staging”. He also taught “History of Theatre and Performing Arts” at the University of Rome “La Sapienza” (2002-2008) and at the Ca’ Foscari University of Venice (2015-2016). He is contributing editor and member of the advisory board of international theatre journals. His publications are mainly on the Renaissance and contemporary theatre, particularly on the international history, myth and reception of the Commedia dell’Arte (see L’arte del buffone, Vianello, Bulzoni 2005 and Commedia dell’Arte in Context, eds. Balme, Vescovo, Vianello, Cambridge University Press 2018). He collaborated for several years on the activities of the “Teatro di Roma” (Union des Teatres de l’Europe), where he also worked as assistant to Italian and foreign stage directors. He is currently working mainly on the relation between theatre practice and theory.